We are updating our shopping cart to help service the orders better. If you have difficulties, please contact us at 951-658-1619 and describe the problem as best as possible. Thank you for your understanding. and Simply The Story plus numerous products. Exciting ways to encourage people to ask you for a story. Polo shirts and hats. More to come. 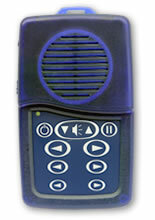 Solar powered hand-held solid state audio players. and/or The Jesus Film. Hundreds of languages from which to choose. Donate to Simply The Story through The God's Story Project - There are many unfunded languages and items given to national evangelists. Sponsor a backpack, MegaVoice or even give towards a new language. Your dollar can potentially affect hundreds or thousands for the Kingdom of God. Thank you!